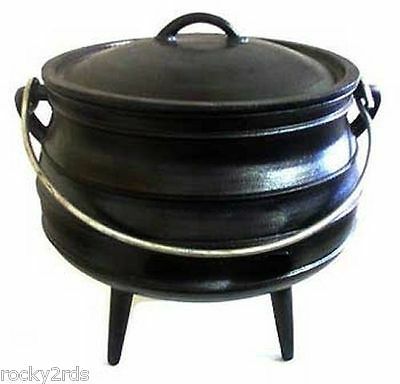 The Size 2 Potjie Pot includes well-fitted lid and carrying handle. Pre-seasoned with flaxseed oil and made from pure gray cast iron. Size Two is the most popular size for small camping cookfires for stews, meats or vegetables. It is large enough to also bake rolls or cornbread in too!